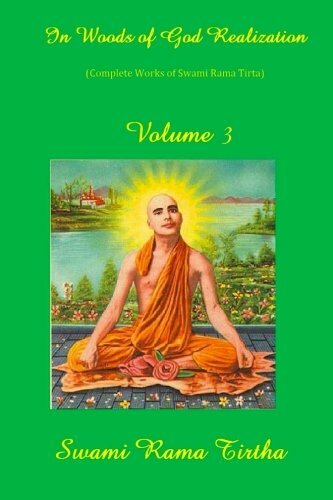 In Woods of God Realization Vol.III By Swami Rama Tirtha. This is the Second volume of Complete Works of Swami Rama Tirtha Described as “one of the greatest souls, not only of India, but of the whole world” by Mahatma Gandhi, Swami Rama Tirtha (1873-1906) was a living embodiment of the teachings of Vedanta. One of the greatest saints and philosophers of India, Rama Tirtha brought the message of yoga and Vedanta to Japan, Egypt, and the U.S. In the Woods of God Realization is a complete collection of his writings and lectures. In this seven volume work Rama Tirtha presents a practical and inspiring view of Vedanta and also discusses timely topics such as married life and realization, Christianity and Islam, war and peace, and patriotism.